OK that title is a bit much but bare with me. It's no secret I'm a fan of rolling. 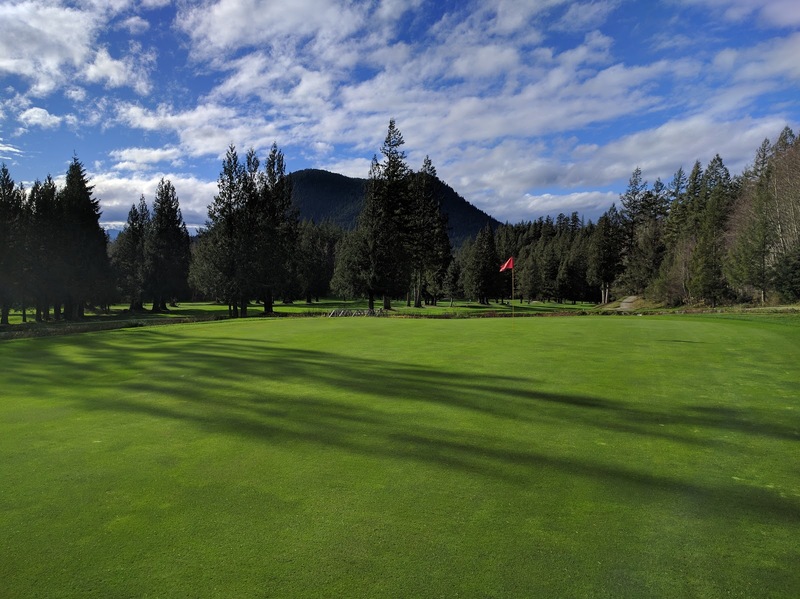 It has a ton of benefits from faster and smoother greens to disease suppression. Ever since I got my first roller back in 2010 we have been rolling daily and cutting every other day or some version of this. Basically we roll the greens 2 times for every mow without significant impacts on playability of the greens. If anything this schedule of greens maintenance results in more consistent playing conditions. The benefits of this are obvious when it comes to mower maintenance. If you use a mower half as much it will require about half the maintenance and last about twice as long. For me it has made it possible for us to use our only triplex mower for both greens and tees. We only need one mower for 2 jobs. This year we looked at fuel use savings. Aside from the cost of fuel, we are also concerned with the use of fossil fuels and ways we can reduce our reliance on them without impacting the conditioning of the golf course (ideally). So right away we can see that if I am able to cut the amount of mowing in half I will save half the fuel spent cutting greens. But there is a cost to this and that is the amount of fuel spent rolling. For us, we roll every day that we maintain the greens. That means that we roll even when we cut the greens. This results in faster more consistent greens and helps with disease more than if we only rolled every other day. So when calculating the fuel savings we need to take into account the amount of fuel required to roll the greens. 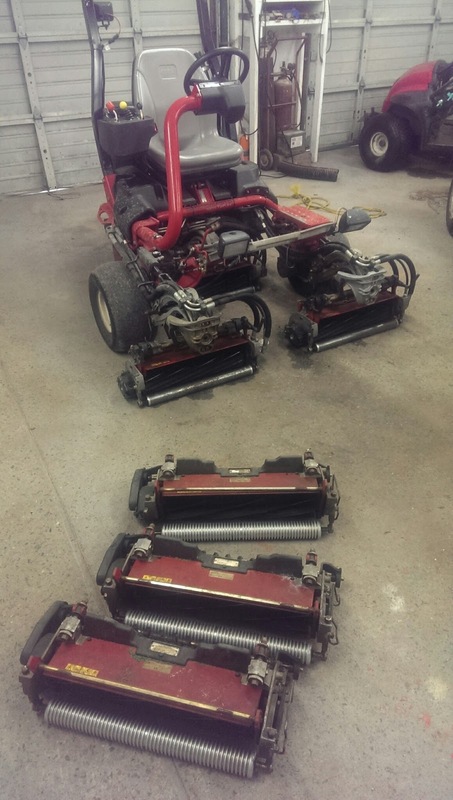 For us, we use a Toro triflex to mow our greens and a Truturf to roll our greens. Ideally we would have an electric roller but we don't. The triflex uses about 6.9L of fuel to cut our 0.4ha (~1acre) of greens. 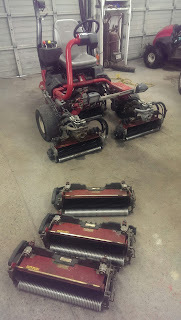 Our roller uses about 0.75L of fuel to roll the greens. This year we rolled our greens 216 times and used about 162 L of gas. This year we cut our greens 107 times and used about 740 L of gas. The total fuel use to maintain (cut and roll) the greens in 2016 (so far) was 902 L of gasoline. To compare that with only mowing and no rolling we need to first figure out how many days we would mow if we didn't roll. To do this I took the number of unique days that the greens were maintained with either the roller or the mower. This came out to 188 days in 2016. The other 177 days a year we do nothing to the greens or only dew whip. 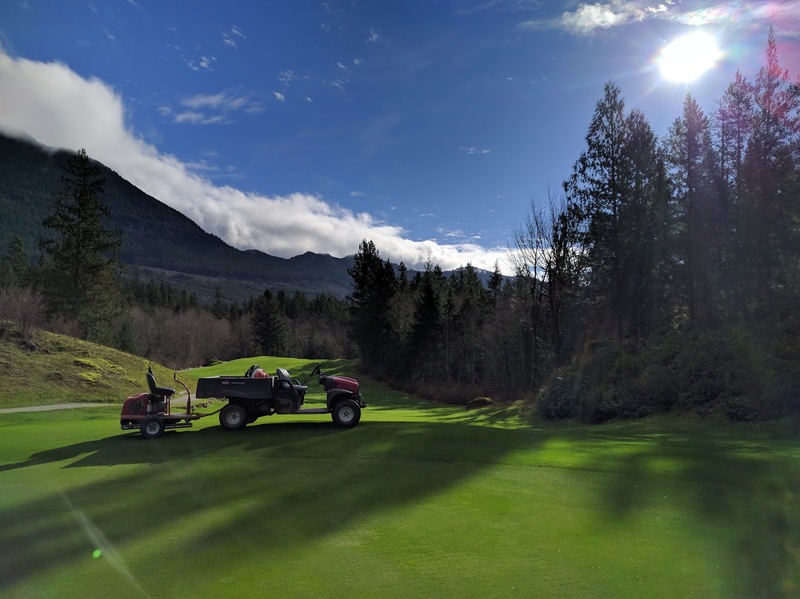 It's also important to know that many of the times that we rolled were 2x per day for reduced disease, reduced poa seed head or extra green speed. The same can also be said for mowing except the only reason for that is increased green speed. So if we had to mow our greens 188 times each year that would use about 1297 L of fuel. Subtract the 902 L of fuel we use now from the mow only figure and that gives us 395 L less fuel used with our current program vs only mowing. That is a 30% savings. You could find additional savings if you only rolled on days that you didn't mow. For me that would save an additional 81 L of fuel or 7% but with a significant decrease in green speed and disease suppression (hard to measure in the real world). In the end we have to balance carbon emissions with the environmental impacts of pesticide use and I feel that this is a good compromise. You could also use an electric roller and essentially cut your emissions in half assuming your electricity comes from clean sources. Either way, that's a big savings. I often have to work very hard to find minor savings and savings of 1/3 are rare especially when they actually improve conditions! Now ideally I would have rolled more so this would decrease the fuel savings slightly but the savings are still significant. Of course there is the extra cost of labor required to roll daily and mow every other day. Rolling is quicker than mowing and the two combined take about the same amount of time of only mowing except you need an extra body for the days that you roll and mow. Rolling with a triplex mower with roller heads would take longer and use almost as much fuel assuming it's more fuel efficient to run rollers than turn reels. 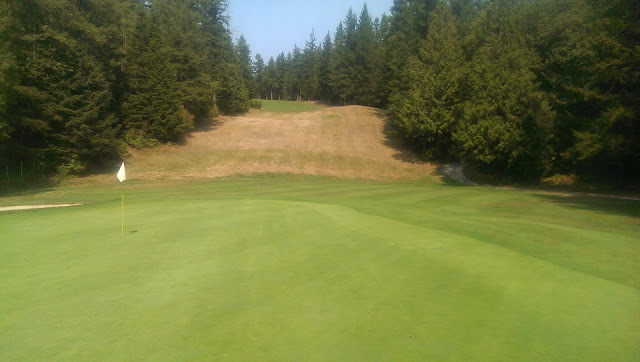 I also haven't compared the fuel use of walk mowing because we don't have the labor for this. I suspect that the speed of rolling vs walk mowing would save money in labor with only slight savings in fuel use as walk mowers are probably more fuel efficient than a triplex mower. Remember, there are many variable that go into this so the saving's aren't universal. For me it turns out to be 30% in fuel and 0 labor savings or a net benefit to my operation and the environment. It's not like I needed another reason to roll but by analyzing our fuel use I have yet another reason to roll more and mow less..
Spot Spraying and Counting Disease.